On the evening of April 7, 2019 William “Bill” Harold Hartford, age 76 passed away at home after a long battle of Myelofibrosis, a rare blood cancer. Bill was born to Harold and Marion in Calais, ME. After High school Bill served in the US Navy. He then worked for Conrail Railroad in Framingham MA until his retirement. On April 24, 1982 he married Karen LaChance Hartford in Medway, MA where they shared their life together for many years before moving to Pocatello, ID. Bill was known for his incredible woodwork, you would always find him in his workshop creating special gifts for his family and friends. He also, always had a passion for hunting and fishing where he enjoyed time and get aways with loved ones. 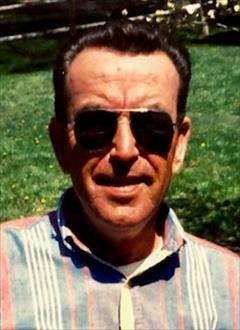 Bill was a member of Medway American Legion, VFW, and Bellingham Sportsmen Club. Bill is preceded in death by his Father Harold (Shorty), his Mother Marion and his brother Donald. He is survived by his loving wife Karen LaChance Hartford, his son Robert, stepson Jerry Medeiros , stepdaughter Kelly Bradway, his brother Wayne, 7 grandsons, 1 granddaughter, 1 great granddaughter and several cousins, nieces and nephews. Calling hours will be held at Cornelison Funeral Home Thursday, April 11th from 10 - 11:30 am, followed by a Graveside service at Restlawn Memorial Gardens. Luncheon will be held at St. Anthony, 504 N. 7th Ave., Pocatello at 1:30pm. In lieu of flowers please consider a donation to MPNResearchfoundation.org in memory of William Hartford.